Jammu/Sialkot: Indian and Pakistani troops have traded fire along the disputed border region of Kashmir, killing five people. 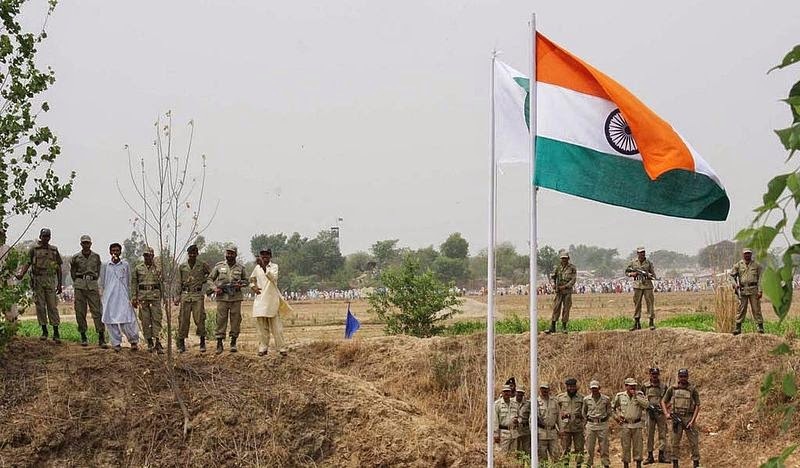 Authorities said an Indian soldier was killed when the Indian side of the border came under fire from Pakistani rockets in the southern region of Jammu (in Samba sector). Meanwhile, Pakistan claimed that four of its civilians were also killed in the firing in eastern city of Sialkot on January 5. Soon after the attack India Home Minister Rajnath Singh chaired a meeting of the top security brass during which the situation at the border, including damage to civilian assets, was reviewed. Forces from the two countries have been involved in deadly exchanges of fire in the region since an Indian border guard and two Pakistan soldiers were killed by gunfire on December 31. Nuclear-armed India and Pakistan have fought two wars over Muslim-majority Kashmir, which both countries claim as their own.